March 20, 2018, Doha, Qatar - Nominations are open for The 5th ORYX GTL Student Awards for the Advancement of Post-Graduate Education in Qatar, which recognize outstanding Masters and Ph.D. students in the energy field who are instrumental to Qatar’s transformation into a knowledge economy as per its National Vision 2030. The ORYX GTL Student Awards for the Advancement of Post-Graduate Education in Qatar celebrates outstanding young Qatari individuals destined to be the country’s future industry and academic leaders. 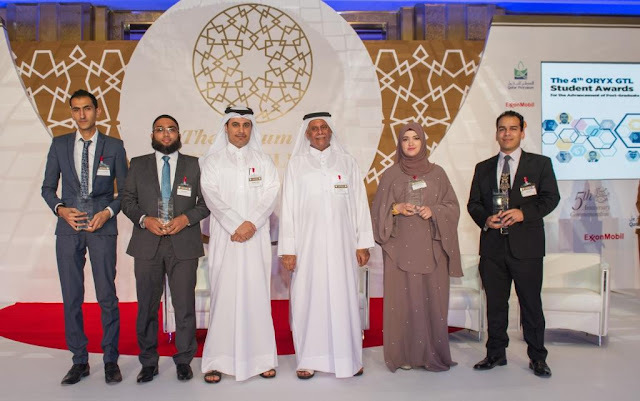 This Pioneering Award Recognizes Role Models and is focused on Celebrating the Importance of building Post Graduate Education capacity in Qatar. The Awards highlight the importance of building a larger and stronger post-graduate community of energy specialists in Qatar. ORYX GTL welcomes nominations of high-quality candidates from stakeholders and students in industry and academia, along with an explanation of how the candidates’ research supports Qatar’s national goals.